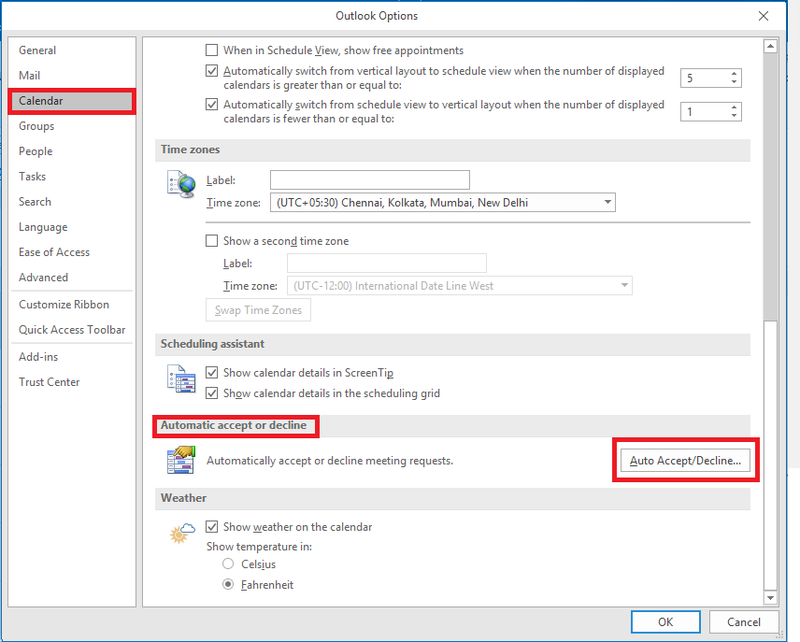 If you’re meeting invites are not coming in your Inbox and are directly going to Calendar, which is creating a problem as you are not notified about the meetings. Then there is no need to worry as there are many reasons because of which you might face this issue. 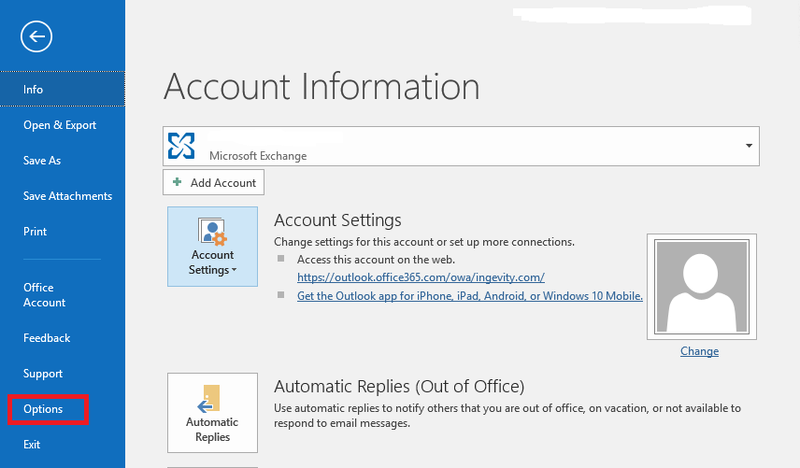 First, you need to check some of your Outlook settings. 1. Automatically accept or decline. 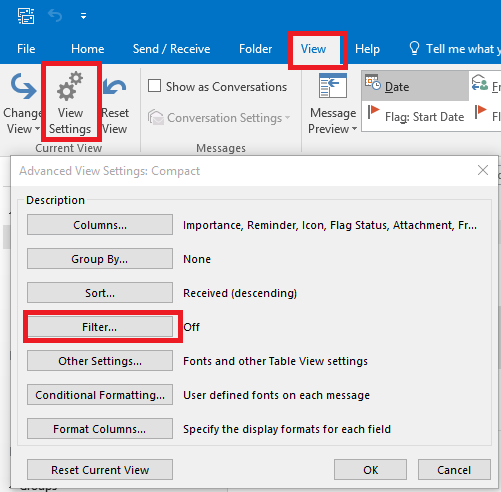 Click on Option which will open an Outlook options window. In the left-hand side, click on Calendar. Check if any checkbox is checked, if yes unchecked it. 2. 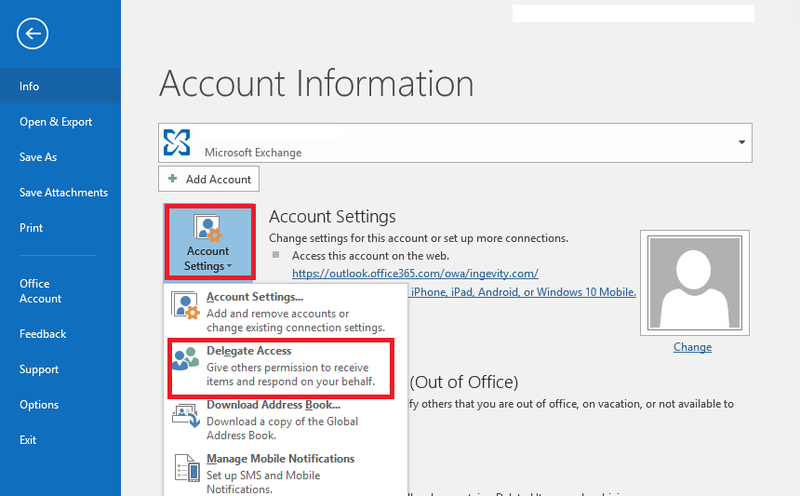 Check if any delegate access is given to your account. Go to View tab>View Settings>Filter... and check if you have any filter. 4. 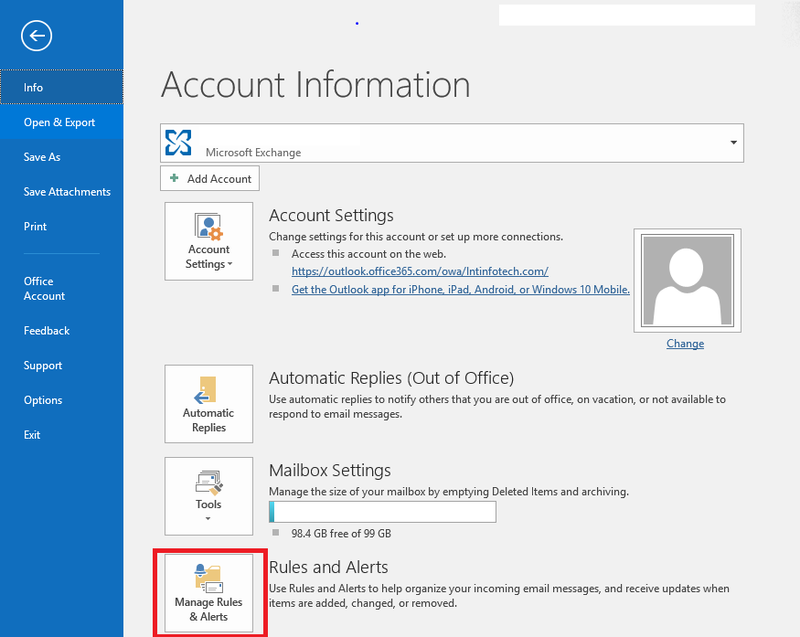 Check if any Rules are created which is not allowing Inbox to show the invites. If yes delete the Rule. For checking the rules go to the file tab and Manage Rules $ Alerts. If all settings are proper but still you are facing the issue you can go and Reset the view which will bring all the invites to your Inbox. Click on the view tab > Reset view as shown in the below screenshot. 3. Click on yes button.